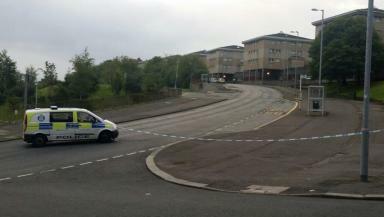 Lee Monaghan died in Greenock, Inverclyde, after the incident last August. A murder accused has admitted killing a man in an alleged street attack. Stephen Kane appeared in court accused of murdering Lee Monaghan in Greenock, Inverclyde, last August. The 20 year-old's QC Donald Findlay pled guilty to a reduced charge of culpable homicide on his behalf. But, prosecutor Peter McCormack told a hearing at the High Court in Glasgow: "That plea is not acceptable." Kane will now stand trial for murder later this year. The allegation includes claims Mr Monaghan was repeatedly struck on the body with a knife or knives on August 24 in the town's Belville Street. Kane faces two accusations of behaving in a threatening and abusive manner. He is also accused of attempting to pervert the course of justice in Greenock Cemetery by giving police a false name. Lady Scott set a trial due to begin on June 19 in Livingston.